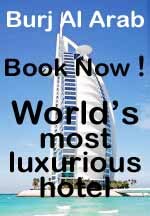 EVERY TIME YOU BOOK A HOTEL IN DUBAI WE WILL GIVE MONEY BACK! 3. If you don't cancel the reservation, we will give you a cashback of 2,5%. BOOK NOW or use the form above. The Walk is a bustling waterfront promenade in the heart of Jumeirah Beach Residences (JBR). It boasts beautiful hotels and restaurants and is by far the most well-known and most recently developed area in Dubai. It is popular, mixing Arabic and western style entertainment where young and old, locals and western tourists like to take a stroll. Beautiful dancers and festive musicians provide extra character. Now the Walk is being transformed into a public art platform by a new project featuring 30 artists from the United Arab Emirates. It has become like an outdoor gallery with colourful vases, and stairs, benches and open floor works decorated with colourful paintings. During the warm summer months, The Walk seems deserted. As temperatures go up, people will spend most of their time indoors trying to avoid the heat. In 2002 Jumeirah Beach Residences opened its doors. It is the largest residential development to date. A total of 15,000 people can stay in its hotel rooms, studios, penthouses and apartments, overlooking The Walk and the ocean. With its 40 towers reaching for the sky it is a spectacular sight. Although different in architectural design the newer hotels blend in perfectly with the older buildings. All the hotels are of fine quality, like the Mövenpick Hotel Jumeirah Beach, Sheraton Jumeirah Beach Resort and the Ramada Plaza Jumeirah Beach Residence. The older hotels, near Dubai Marina, may be less fancy, but are much more affordable, and have an amazing view overlooking the harbour. From there it is only a few minutes to the beach and The Walk. You will find a wide variety of restaurants along the Walk, ranging from big international chains like Starbucks to local restaurants, bars and coffee shops. Whether it is 8 o’clock in the morning or 11 o’clock at night, there is always something open. Restaurants or bars do not serve alcohol but if you fancy a cocktail, a nice glass of wine or a cool beer, go to the lounge of your hotel, many of which are licensed to serve alcohol. The Walk is a good place for shopping. Here you will find stalls selling exclusive local handicrafts, bags and jewellery. The bigger branded shops are away from The Walk and can be reached by the stairs. Jumeirah Beach is the place where the mix of cultures is very much in evidence. Here you find men and women in western clothing next to people in traditional dress. Some parts of the beach are private property with facilities like beach chairs and a bar, but the rest of the beach is public and do not have facilities like bathrooms, changing rooms, eateries, or bars. This means you will have to bring your own towels, chairs and drinks if you want to have a nice day at the beach. And bear in mind that walking around in your bathing suit is only allowed on the beach! So always put some clothes on if you decide to go to The Walk for a drink or a snack. Dubai Marina was named after the artificial harbour built in the area a decade ago and offers space for more creative and innovative architecture. Tall white buildings have been erected where once there were only a handful of dilapidated beach resorts. Two of the older hotels in the area, the Hilton Jumeirah and the Sheraton Jumeirah, used to be far away from the main centre of Dubai. Now, ten years on, they stand in the middle of the new town centre. The architecture in Dubai is a reflection of its effort to achieve modernity while keeping alive its rich and colourful traditions and history. This site The Walk Dubai.com has the following pages: The Walk Hotels, restaurants and shops. From cheap hotels to luxury hotels on the Walk Dubai Jumeirah Beach Residence JBR, Dubai, UAE, use TheWalkDubai.COM for online booking of your vacation, weekend trip, hotel offers, hotel accommodations, hotelspecials, long stay, holidays, weekend away, overnight stay, business travels, weekend getaways, hotel specials, last minute or hotel reservations.